The amazing and one of the wonders of the world was built in the span of 21 years. It was started in the year 1632 and completed in the year 1653. It was built by the Mughal emperor Shah Jahan for his wife. It has been seen as a symbol of love. The site has been included UNESCO World Heritage Site since 1983. It is one of the most visited tourist destinations in India. The monument has a marble dome that has been built over the tomb. It is located in the Shaanxi province of China. The construction has taken certain decades. It was started in 246 and completed in 208 BCE. It was built in a span of 38 years. It is spread in certain kilometres and a unique feature is his Terracotta Army. The army has been discovered in the year 1974 and it is a collection of sculptures of soldiers whose purpose is to protect the emperor in his afterlife. It includes 8,000 soldiers, 130 chariots, and 150 cavalry horses. Now, China has built some of the modern architectural wonders of the world. The Great Pyramid of Giza located in Egypt was built as a tomb for Pharaoh Khuf. The Pyramid has its importance because it is one of the oldest and largest between the three pyramids of Giza. It is also very much among the tourist and visitors of the different country. The Great Pyramid was built during the period 2560 – 2540 BC. It is also known as Lenin’s Tomb. It was situated in the centre of Moscow. The body of the great Vladimir Lenin rests here. It is here for the display after his death in the year 1924. It has been kept at a temperature of 16 °C or 61 °F and the humidity has been kept at 80 to 90 per cent in order to preserve the body. It also undergoes a chemical bath after every 18 months. It is one of the most famous tombs in the world. It is also called by the name Mausoleum of Hadrian. It is a cylindrical building situated in the Rome of Italy. 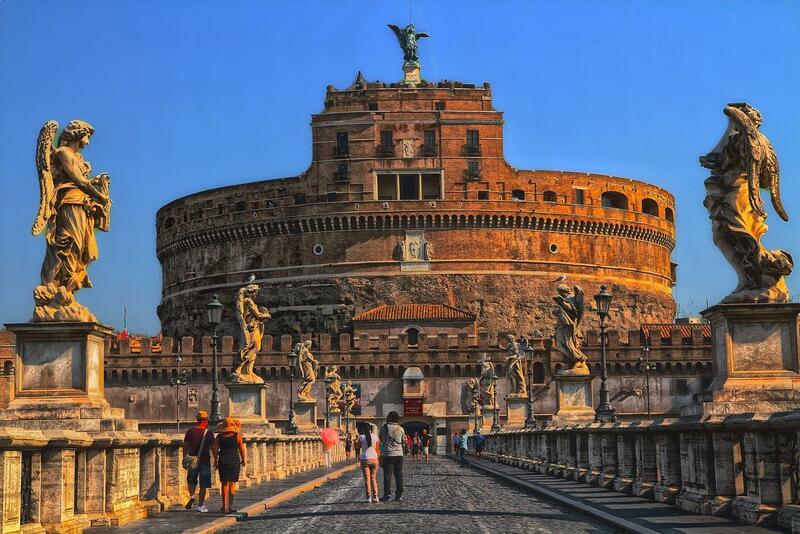 It was commissioned and designed by the Roman Emperor Hadrian for himself and his family. It was later used by the popes as a castle and now it is a museum. It was once the tallest building in Rome. You can also read about historical and precious monuments destroyed by war. The Tomb of Jesus refers to any place in the world where Jesus was entombed. The Church of the Holy Sepulchre is one such as Tomb of Jesus that is situated in Israel. It is also called Church of the Resurrection and Basilica of the Holy Sepulchre. It was located on the Hill of Calvary where it is believed that Jesus was crucified. It is one of the most important pilgrimage sites for the Christians since the 4th century. The Tomb of Cyrus is situated outside of Pasargadae in Iran. Cyrus the Great is one of the finest rulers of the Persian Empire in the 6th century. He is also the founder of the vast Persian Empire. Alexander the Great paid a visit to the to the tomb of Cyrus in the late 4th century. He also ordered Aristobulus one of the warriors at that time to enter the monument. When he entered the monument he found many things including golden bed, a table set with drinking vessels, a gold coffin and some ornaments. It has been said that there is also an inscription on the tomb but no such inscription survives now. The Shah-i-Zinda means the ‘The Living King’. It was situated in the north-eastern part of Samarkand in Uzbekistan. The monument was connected with the legend Kusam ibn Abbas. He is the of the prophet Muhammad. He has been buried here. It was believed that he was beheaded for his faith and preaching’s and later he took his head and went into the deep well. It is believed that he is still living there. The Tomb of Jahangir was built for one of the greatest emperors of the Mughal dynasty Jahangir. He ruled in the period of 1605 till 1627. The monument has been built by the son of Jahangir 10 years after his death. It is situated in the Punjab state of Pakistan. The structure stands in the middle of a garden. It is one of the most famous tombs in the world and in Pakistan. The monument is a part of Palace of the Shirvanshahs. It was situated in Azerbaijan. The site is a UNESCO World Heritage Site. It was built on the orders of Sultan Khalilullah I. It was dedicated to his mother and son in the 15th century. You can also watch a video about mysterious archaeological discoveries.